In 1998, four Chicago-area physicians resolved to combine their resources to counteract the health disparity responsible for whole neighborhoods ravaged by substandard asthma care and hundreds of needless childhood fatalities. The result was Mobile C.A.R.E. Foundation (Mobile C.A.R.E. ), a non-profit organization dedicated to providing comprehensive medical care to Chicagoland children diagnosed with the chronic disease asthma. It was the understanding of the four founding physicians that treating asthma comprehensively (emphasizing patient and parent understanding of the child’s condition and scheduling regular preventative check-ups) would diminish negative effects of the disease such as school absenteeism, physical inactivity, and inability to sleep through the night, as well as slash the financial burden of untreated asthma on the local healthcare system. Services are provided through the Comprehensive Asthma Management Program (CAMP), in which Asthma Vans, state-of-the-art mobile health clinics, are deployed to low-income neighborhoods with high asthma rates. Through partnerships with roughly 40 schools, Asthma Vans diagnose, educate, and provide on-going care for children. Thus far, the assumption of higher health outcomes and a reduced burden to the healthcare system has met with tangible results. Only 1-in-25 Mobile C.A.R.E. patients report an ER visit or hospitalization since joining Mobile C.A.R.E., versus 1-in-3 in the year prior to joining Mobile C.A.R.E. The reduction in hospitalization rate alone has saved the local healthcare system at least 156 million dollars over 13 years. In 2014, the organization added its first Dental Van–at the time the only mobile provider following a “dental home” model of care. 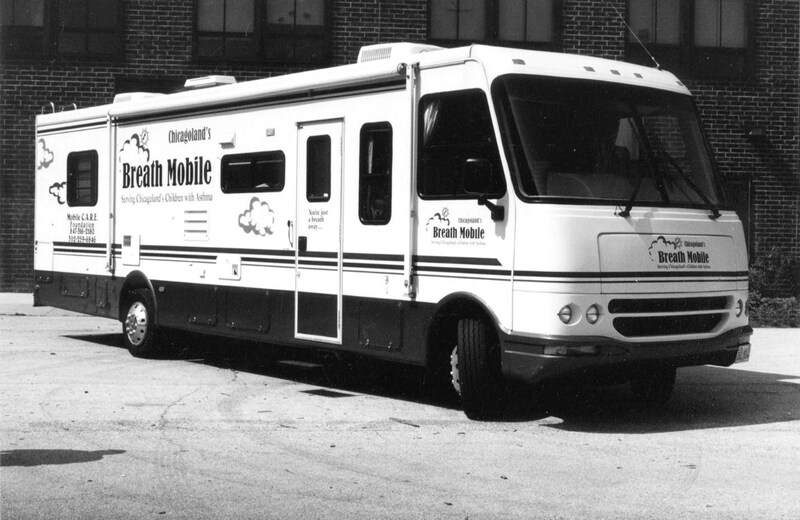 Mobile Care Chicago, as the organization is now known, expanded to include a second Dental Van in September of 2015. Want to know more about the work being done on Asthma and Dental Vans everyday? You can follow our progress on facebook and twitter!